The trip to Japan on ANA was very comfortable. From the moment we boarded the flight, we already felt as if we had arrived at this beautiful country. This was thanks to the friendly flight attendants and the delicious inflight menu, which consisted mainly of Japanese cuisine. 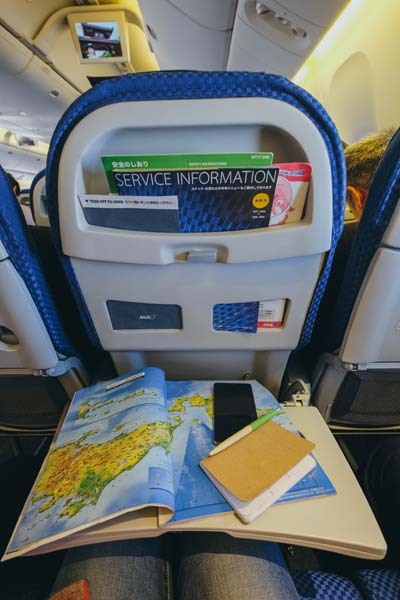 Despite traveling in the economy cabin, we were surprised and delighted to find that there was plenty of room to stretch our legs. 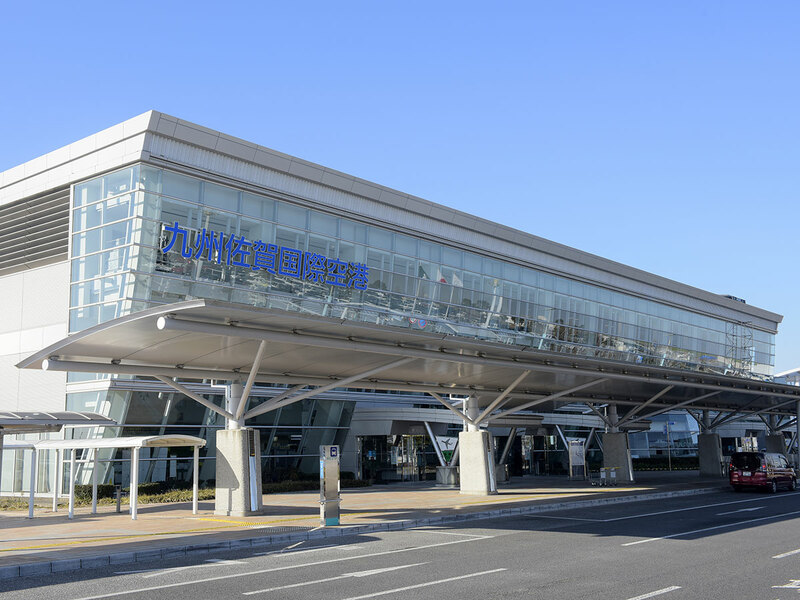 As mobile phones can be charged using the USB ports during the flight, we were able to use our phones without any problems upon arrival at Haneda Airport. We then moved on to Azabu-juban, which is lined with small quaint shops, bars, and restaurants. While it is a quiet district, it is also full of life because there are so many shops and eateries here. It is really enjoyable walking around this area. It was a real pity that Naniwaya Sohonten, a popular taiyaki stall (taiyaki is a fish-shaped pancake filled with bean jam) was closed for its regular closing day, so we missed a chance to try out their taiyaki. 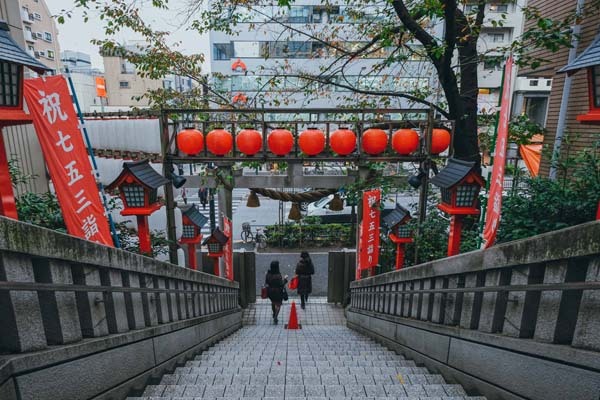 We also discovered the tranquil Juban Inari Shrine, nestled in the back alleys of this bustling district that is so perfect for walks and photography. I have been living in Tokyo for 1.5 years, but never actually got to know the areas around me very well. One of these areas is Azabu-juban. Although I had been very delighted to experience the main shopping street in this area, most of the stores were shut as it was Tuesday. Still, this is probably the ideal place to shop for sweets and little knickknacks. 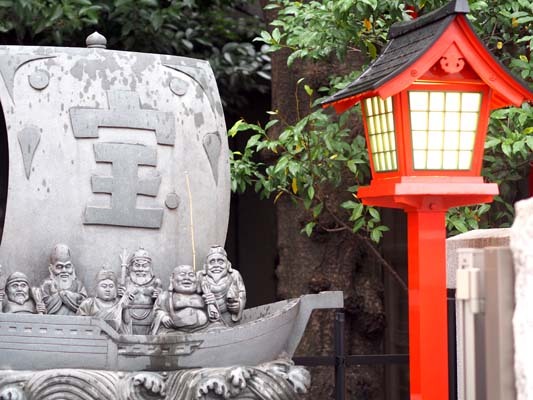 Going deeper into the street, you would come across the Juban Inari Shrine, where Takarabune-no-oyashiro, one of the more famous deities among the Minato Shichifukujin (seven deities of good fortune), is enshrined. We visited the Sumida Edo Kiriko Museum, where visitors can experience the making of Edo Kiriko glasses. Edo Kiriko, characterized by its unique cuts and delicate decorations, is a traditional artisanal craft from Tokyo that has been around since 1834. 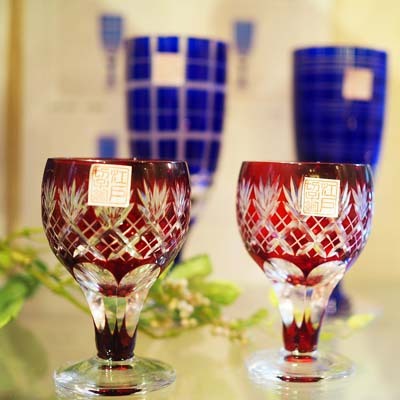 Edo Kiriko glasses have a two-layer structure that consists of the exterior glass with its colorful decorations, and the transparent inner layer. Depending on the sculpting, it is possible to create different designs for all the glasses. The hands-on class offers an excellent opportunity for trying out the techniques and decorating our own glasses. After listening to the artisan explain how to use the polishing machine, we tried our hands at actually sculpting patterns on the glass. Once we had finished, we could also bring back the glasses as souvenirs. We headed to Oshiage, where Tokyo Skytree is located. 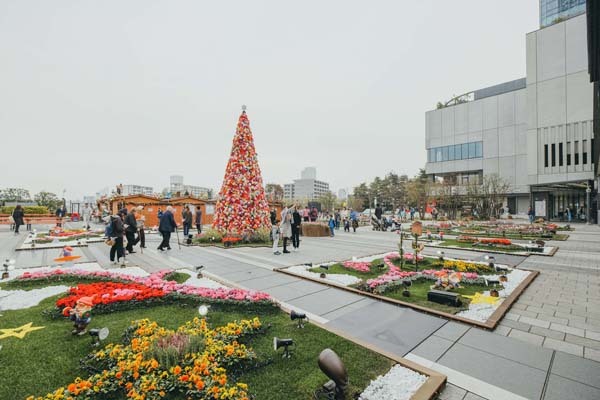 The Oshiage area left a deep impression on us as it exuded the colorful atmosphere of Christmas. 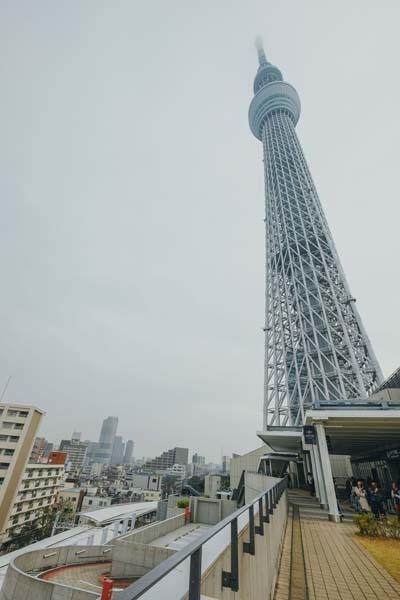 Shops near the Skytree are ideal if you are searching for small souvenirs to bring home with you. We attended a workshop in Sumida Ward, introducing the art of Edo Kiriko. Edo Kiriko is a traditional craft inherited from the Edo era, and involves the engraving of geometric shapes onto colored glasses. 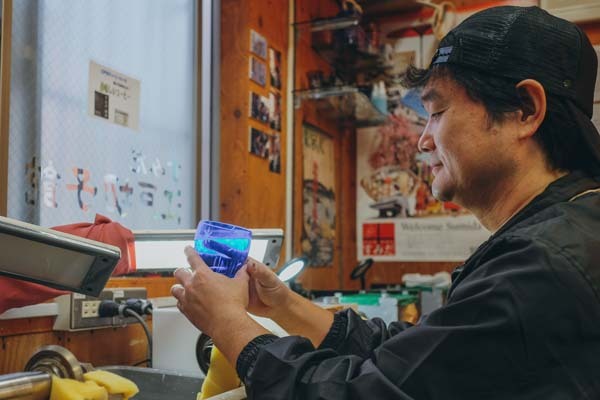 At the Sumida Edo Kiriko Museum, artisans taught me patiently and attentively how to engrave patterns onto the glass I had chosen beforehand. The glass is made of a double-layered structure. The external layer is colored, while the inner layer is transparent. Hence, the patterns on the glass are also visible on the inside of the glass. It is vital to pay careful attention to the work. Although my glass was not finished to perfection, the completed product was unique and left me with a great sense of accomplishment! This workshop, lasting 1.5 hours, costs 4,320 yen, and you can bring home your completed glass. 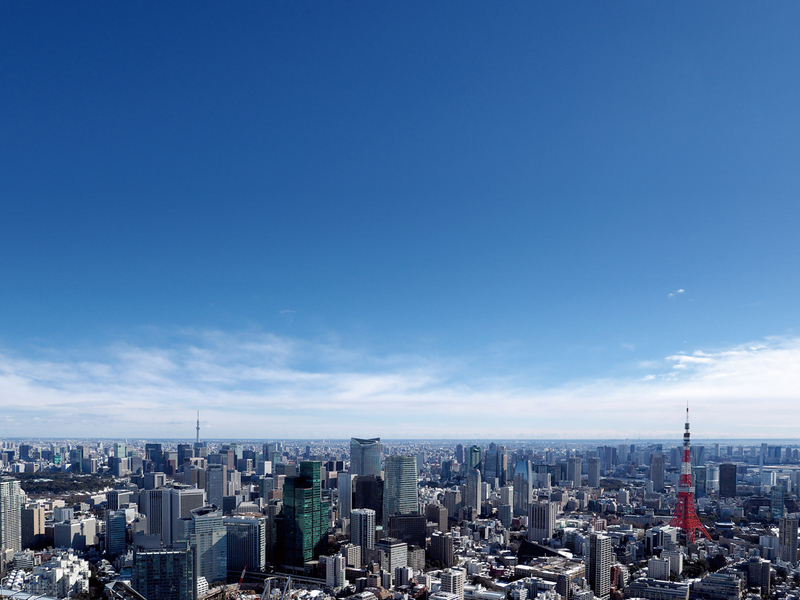 The Oshiage district is famous for the Tokyo Skytree, which stands at a height of 634 meters. On that day, however, the beautiful top of the tower was obscured by clouds. Still, we enjoyed a walk around Tokyo Solamachi, a shopping center that had been built around the tower. I highly recommend visiting the 4th floor. 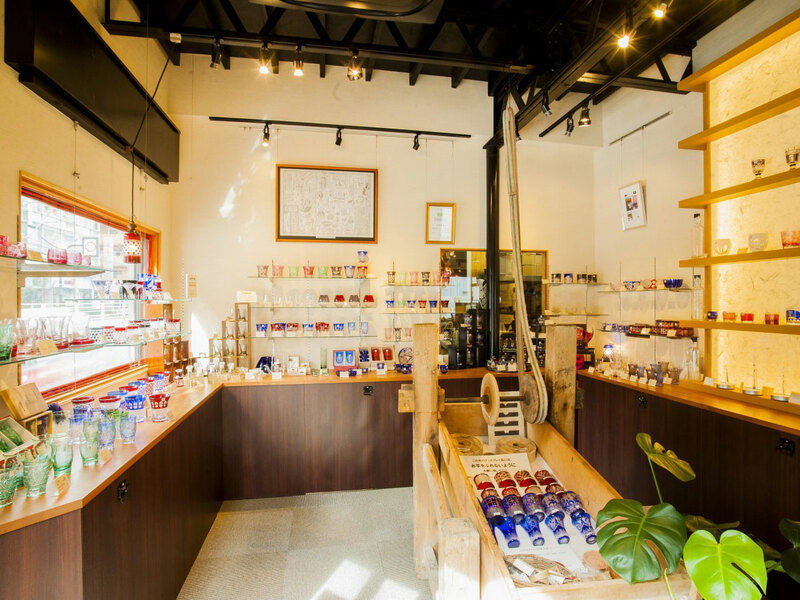 Here, you will definitely be able to find something you like, ranging from food to chopsticks, fans, cosmetic products, and of course, Japanese washi paper. 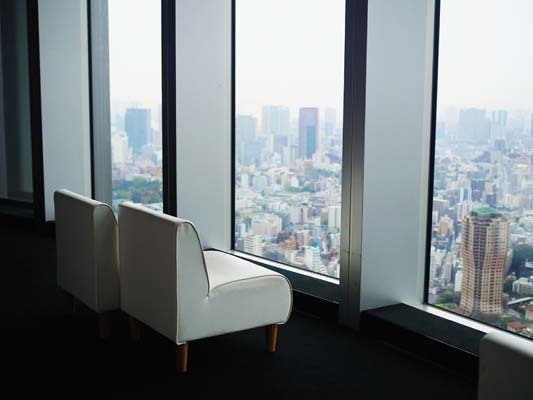 At Tokyo City View, we went up to the Sky Deck on the 52st floor, where we drank in the lovely view of the city. 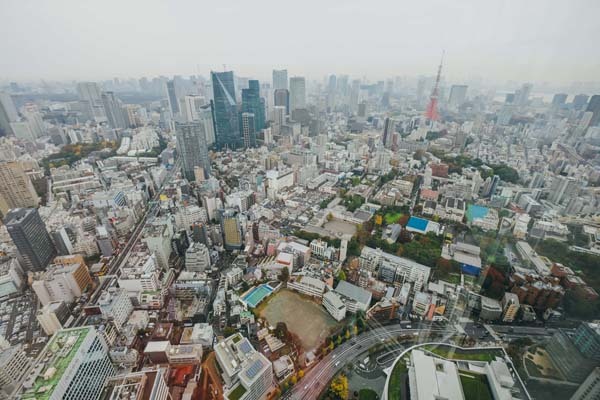 There may be other places where one can see Tokyo from a high vantage point, but I am sure Tokyo City View is the best place as it offers a 360-degree panoramic view of the surrounding areas. Thanks to it, we were able catch a view of the Tokyo cityscape against the backdrop of the setting sun. After it turned dark, we took a walk around the Roppongi Hills area. Maman," the grand sculpture by Louise Bourgeois, was far and away the most amazing thing we encountered on this trip. This giant spider is powerful and terrifying, but at the same time, made us feel calm and protected. After taking many pictures of this impressive masterpiece, we moved to the Mohri Garden for an evening walk. As we enjoyed the quiet tranquility of the garden, filled with lush greenery, we admired the gleaming aspect of Roppongi Hills from a distance. It was a very moving experience. " 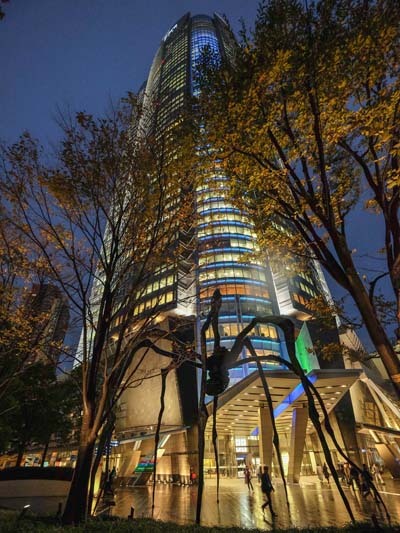 You cannot leave the Roppongi Hills complex without meeting the giant spider! Don't panic, this is not a real spider. 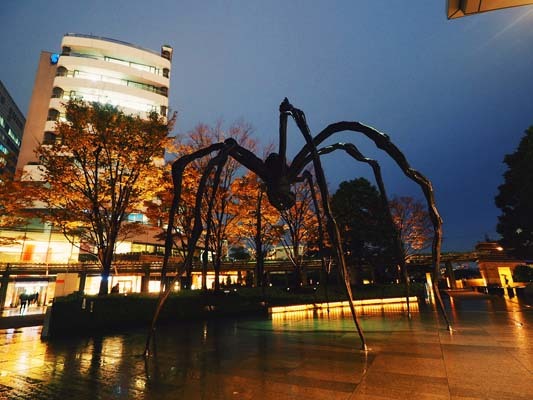 The 10-meter high sculpture that depicts a spider carrying its eggs is known around the world as Maman," and is the masterpiece of French sculptor Louise Bourgeois. It was amazing! In Roppongi Hills, there is also an art museum, a shopping mall, restaurants, and a Japanese garden named Mohri Garden. " As Tokyo greeted us the next morning, we went shopping at Haneda Airport. 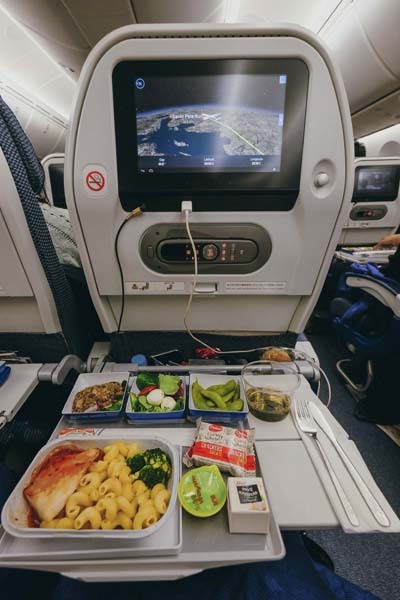 The friendly cabin attendants provided us with warm service while boarding the domestic ANA flight, and we could choose from a wide range of hot and cold beverages. I also liked the magazines and pamphlets placed in the seat pocket. Although it was only a short flight, we were able to check our schedule for the next destination. 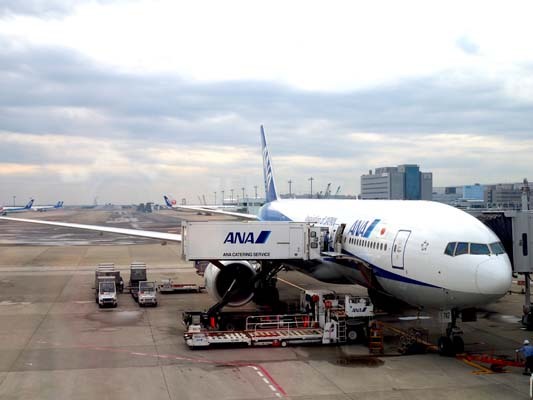 The Japanese airlines ANA offers tourists a very interesting package. For example, if you purchase a ticket between Paris and Tokyo, you will also be able to take another trip to a domestic destination at the discounted rate of just 87 Euros each way. The advantage of this package is that it allows you to take a suitcase of 20 kg (that should be sufficient for buying souvenirs and gifts at the destination). The legroom on the plane is also very generous, compared to other airlines. 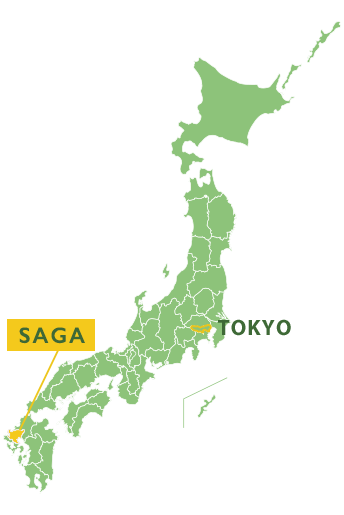 I will now embark on my three-day tour of Saga Prefecture in Kyushu! We had lunch at the restaurant Genkai, where we got one surprise after another. This restaurant is in a very concealed location, and one would never think that there is a restaurant in that place at just one glance. The entrance resembled a garage or a small workshop. Upon entering, we passed by tanks containing live sea creatures such as fish and octopus. Going further in, we finally reached the seating area of the restaurant. The seating area was, once again, a wonderful surprise for us! These are small, private dining rooms covered in Japanese tatami floors, comprising a low table and filled with delicate decorations. The cuisine that we savored there was a perfect match for this simple yet luxurious atmosphere. The dishes included sashimi and tempura, made with fresh seafood, and were incredibly delicious. 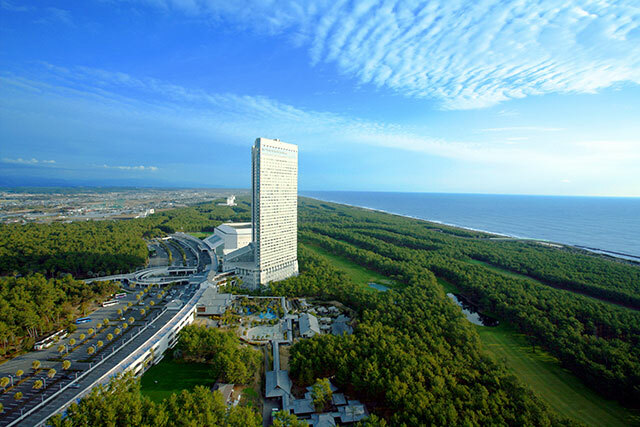 The Genkai Underwater Observation Tower is the best place for observing the living things of the sea. As the underwater observation room is positioned 7 meters below sea level, it is possible to watch the underwater world in its natural environment. We thought that we would only be able to see a few fish, but to our surprise, we were greeted by the views of a vast array of living things, fish of various sizes, and even creatures such as starfish. After we left the Observation Tower, we then headed to Cape Hado, where we enjoyed an excellent walk that presented us with a superb view of the northwestern tip of Kyushu. That afternoon, we spent the time at the old mansion where the coal mine industrialist Koreyoshi Takatori resided during the Meiji era. Located in Karatsu, this is an attractive house designed majestically, with a wonderful fusion of design elements from the West and the East. Upon closer look, visitors will discover delicate and luxurious irregularities in all parts of the house, inspired by nature. Many of the paintings, in particular works used to decorate the doors, are truly incredible and incomparable masterpieces. Among these, there were also works in the art nouveau style. 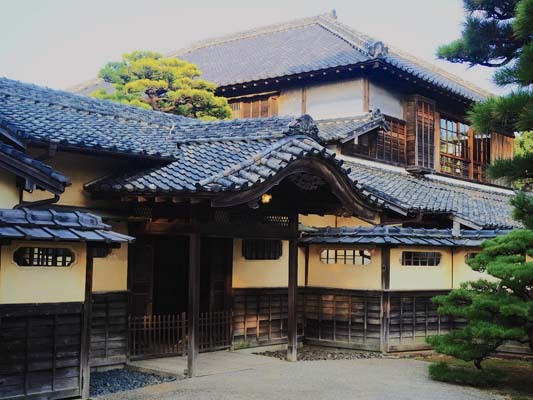 There was even a Noh" theater inside the house, which is the only existing "Noh" theater in Japan to be located inside a manor hall. " We arrived at Karatsu, facing the Genkai bund, at lunchtime. We had the chance to sample the local produce, so I had a taste of raw squid sashimi (it was still alive). 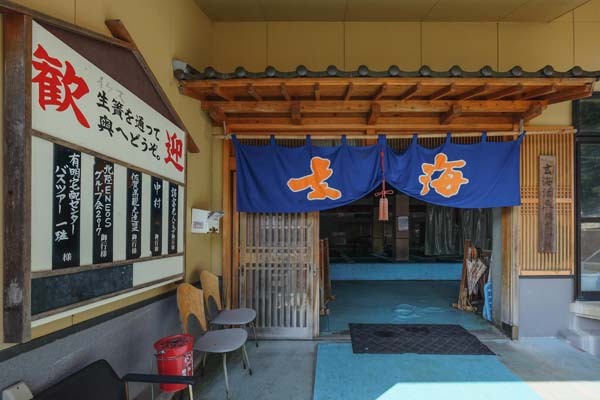 While it may not be obvious from the outside, the restaurant Genkai has a large water tank containing fresh squid positioned near the entrance. 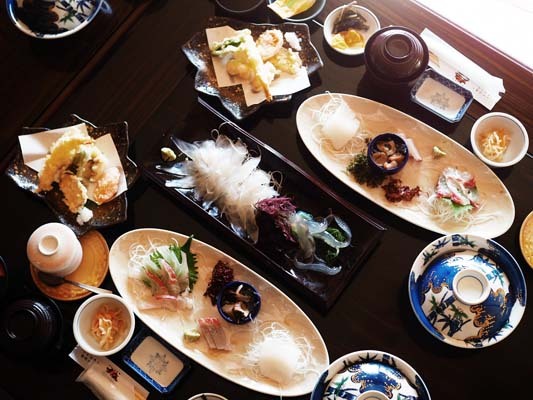 The tatami room that offers a view of the sea is perfect for enjoying a quiet lunch with friends and family. It was unbelievable but the squid literally melted in my mouth! 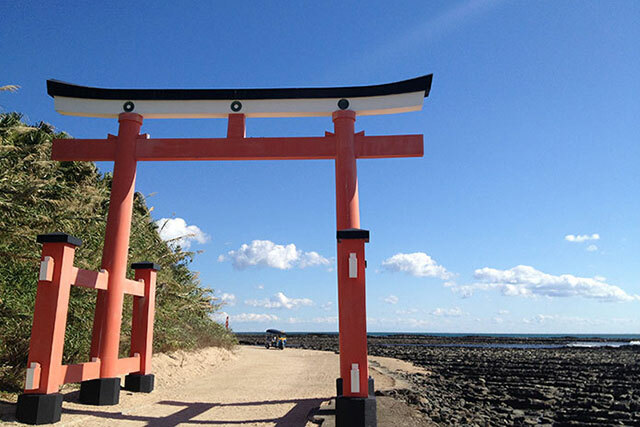 After lunch, we visited Cape Hado for a walk. The atmosphere at Cape Hado is similar to that of Brittany. 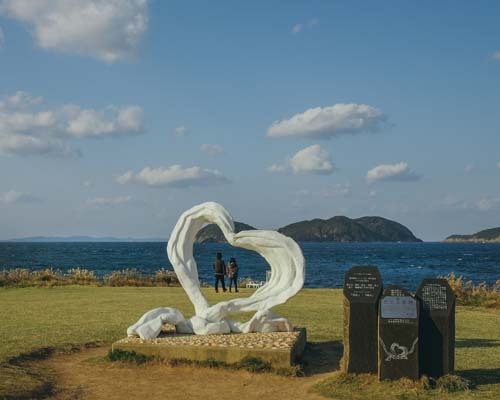 A large heart-shaped sculpture has become the symbol of the bay, making it a sacred place for lovers to visit. The Genkai Underwater Observation Tower is also located at the bay here. We crossed a large bridge to enter the tower, and went down a narrow flight of steps before reaching a room where we could observe the sights of the underwater world. There are many fish in winter. Impressive! Personally, Karatsu was one of my favorite areas on this trip. 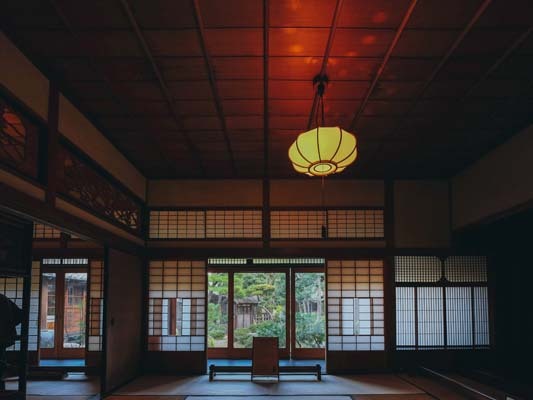 The former Takatori residence where the mining king, Koreyoshi Takatori, lived, was built in 1905, and is designated as an Important Cultural Property of Japan today. We took a detailed tour of the mansion lasting more than an hour. Careful attention had been given to all the detailed parts in each room, and we were entranced by the paintings and the Japanese garden. A unique feature of the house is the fact that it contains a Noh" theater, while the entire mansion had been designed to create a perfect sense of integration. 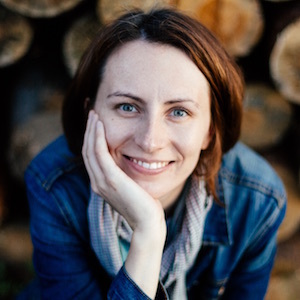 Guided tours are also available in English, so I strongly recommend a visit to this place." 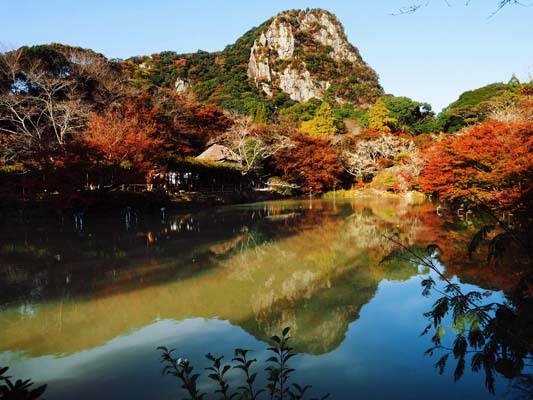 Visitors to Saga Prefecture should definitely take a trip to Okawachiyama in Imari City. It is a very enchanting area surrounded by green mountains, and continues to attract visitors with the urge to walk around and uncover all its secrets. 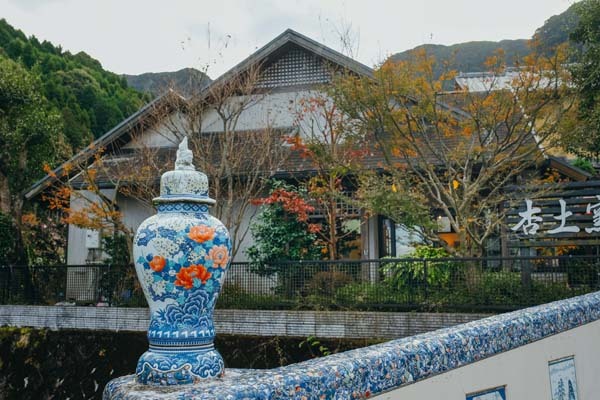 Okawachiyama was ruled by the powerful Nabeshima clan in the past, and it is a village created exclusively for the purpose of producing porcelain ware to be presented to the Shogun. To protect the secrets behind its ceramic art, the area was isolated and protected from the world for several centuries. Ceramic decorations can be seen here and there, even on the bridges. 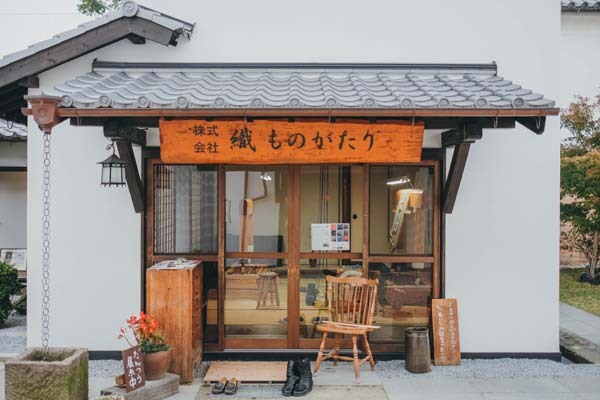 There are many ceramic workshops and shops in Okawachiyama village. 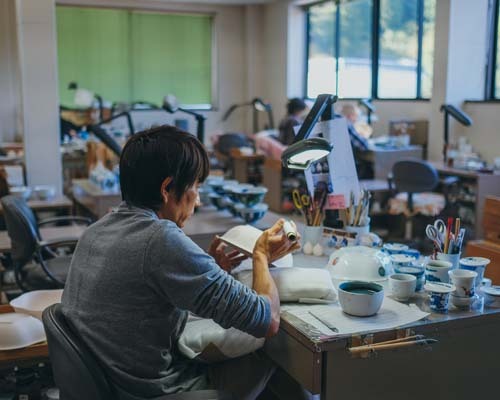 Among these, we visited a workshop that has continued to produce the traditional craft known as Nabeshima ware." It was a moving experience to observe the artisans at work, creating works in innovative forms even as they continue to inherit the Nabeshima spirit. It was a luxurious treat, soaking up the beauty of the past. " 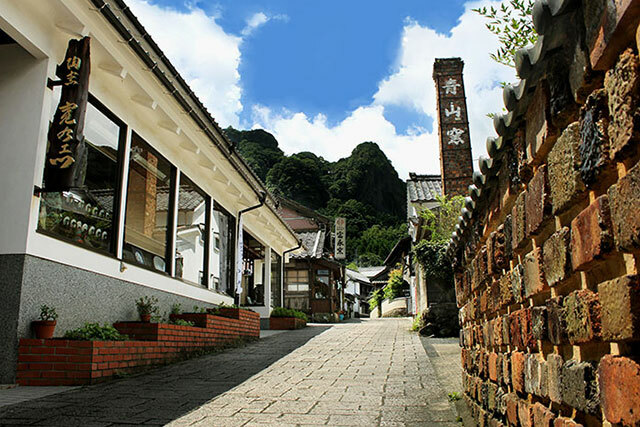 Okawachiyama is an enchanting village of ceramics located in the heart of the mountains. In the 17th century, Nabeshima ceramics were produced here in secret as gifts to be presented to the Shogun or the Daimyo feudal lord in the region. 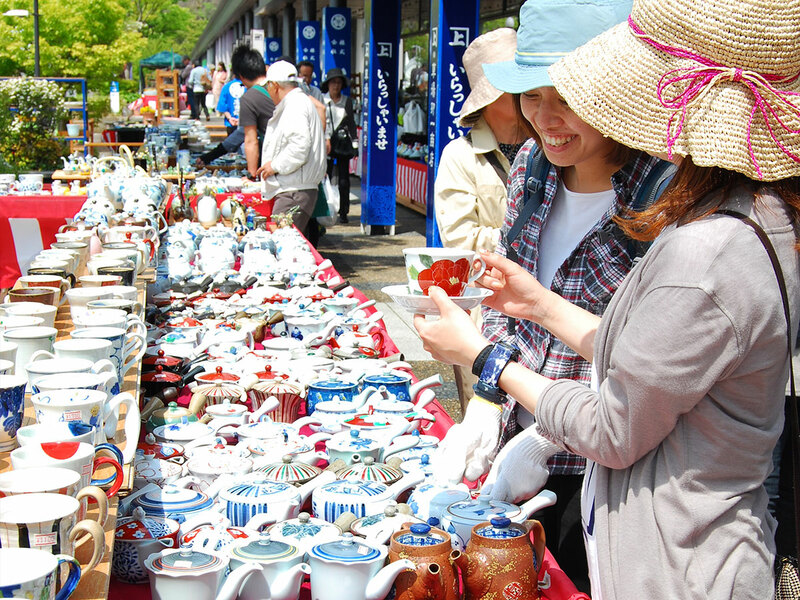 Today, it has become a sightseeing spot for pottery lovers. In this village that specializes in the production of ceramics, artisans set up their own ateliers to exhibit their works. I visited Hataman Touen, where I was given the opportunity to observe artisans at work, painting ceramics by hand. There are also many beautiful pottery shops along the main street. This is a chance to find something wonderful! Arita looks considerably different from Okawachiyama. 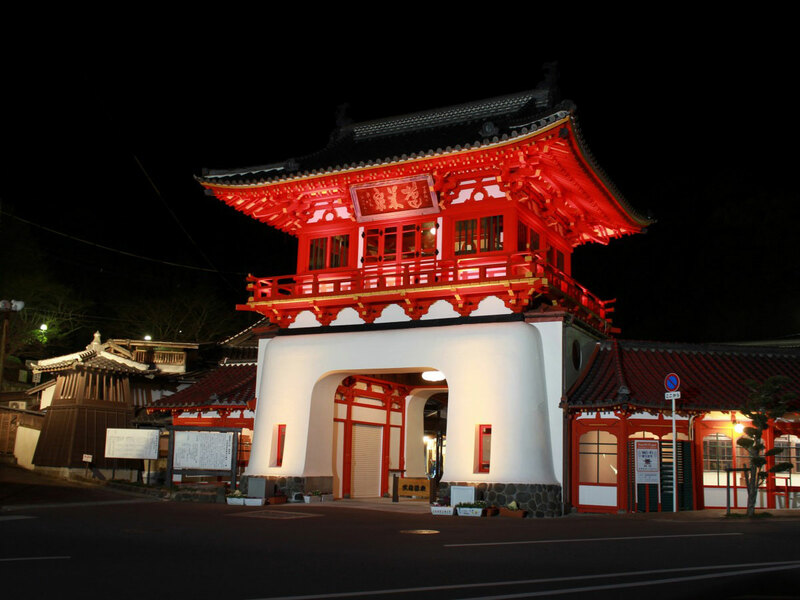 This small town has a unique appearance that comprises a combination of traditional Japanese architecture and the Western architecture in a curious way. 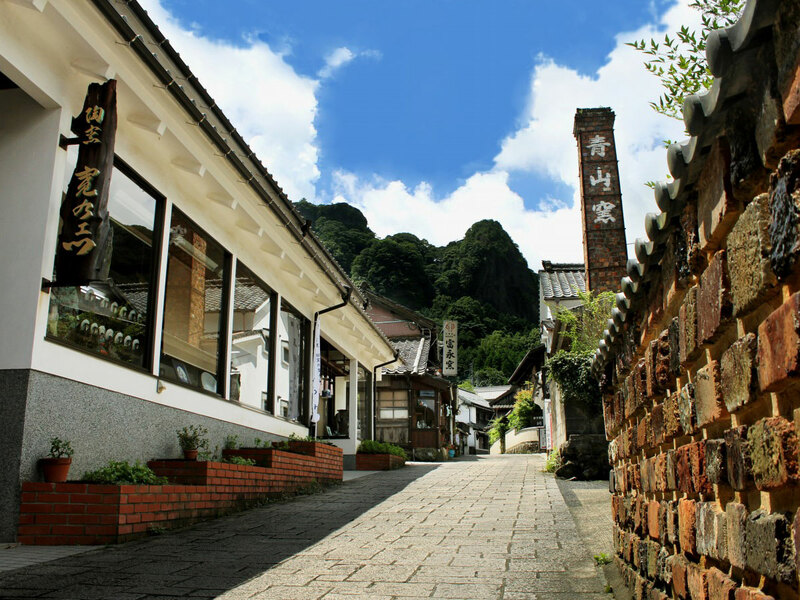 Do explore the back alleys when you visit Arita. There, you will find interesting fences that bring out the charms of this village. This unusual wall is known as a tonbai," and is made from fire-resistant bricks used in a kiln. Ceramic pieces have also been mixed into the wall. 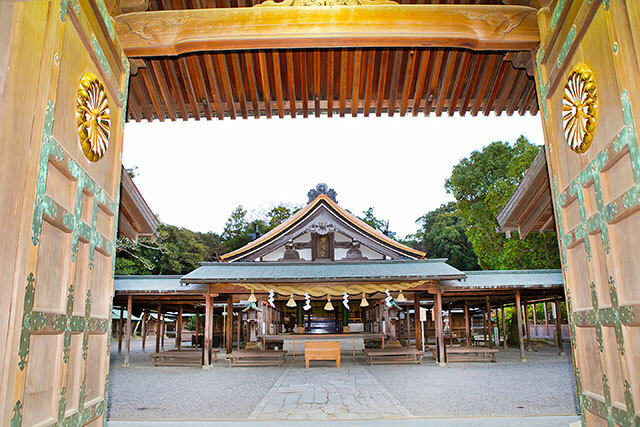 It is also a must to drop by Sueyama Shrine if you come here. 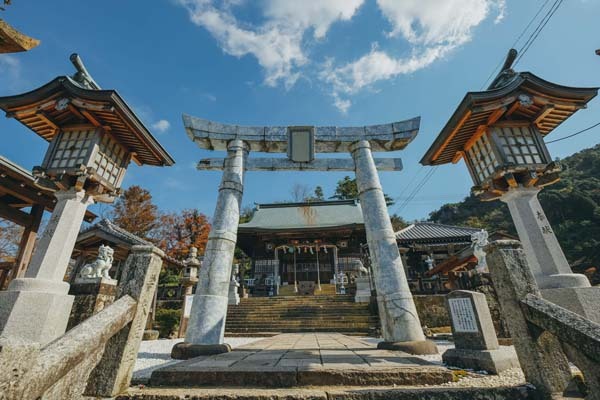 That is because the torii (gate leading to the entrance of a shrine) is made from white porcelain decorated with pictures of leaves colored in light blue. There are also guardian dogs, ponds, and lanterns made from ceramic. " 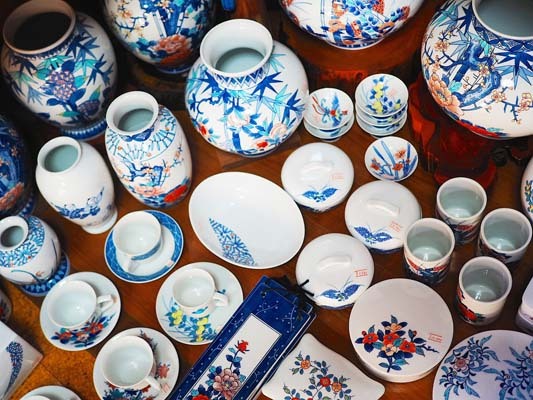 Arita City specializes in Imari ware, renowned for its luxurious gold motifs. After walking to Uchiyama, where the walls are built from bricks used in old pottery kilns, we went up the steps to Sueyama Shrine. This is a unique shrine that has been completely decorated with ceramics. Even the torii (gate leading to the entrance of a shrine) at the entrance was made from porcelain. 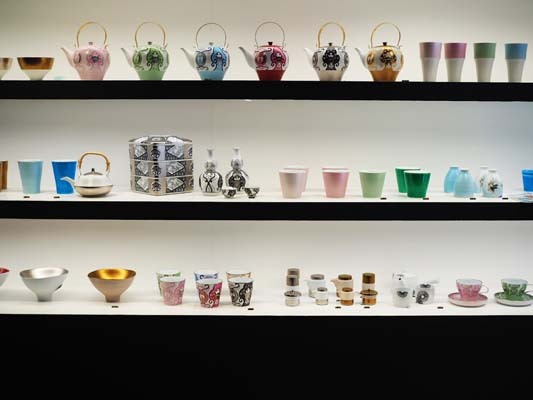 Do also drop by the Arita Porcelain Lab, which is famous for its contemporary and lavish styles. 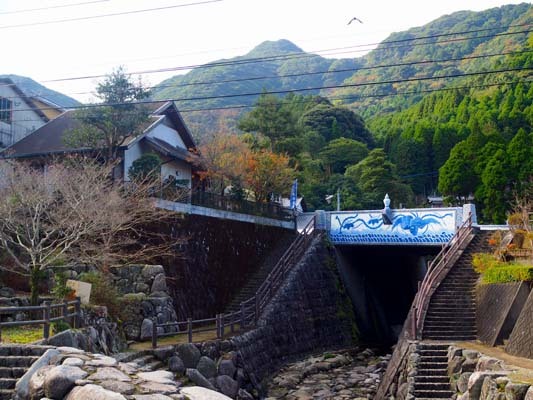 Takeo Onsen is an interesting place, built more than a century ago. 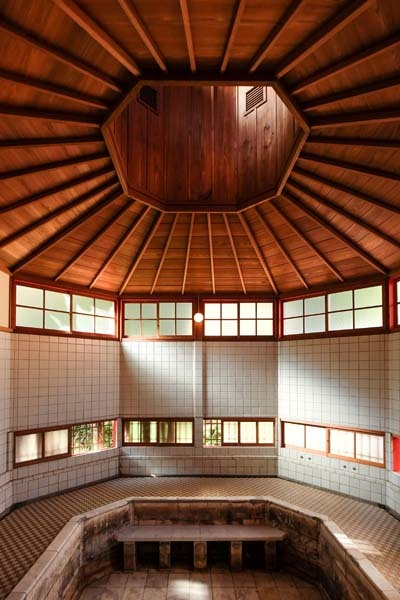 While a part of it is still used as a bathing hall, the oldest parts of the building have bene converted into a museum with displays of mosaic-tiled baths and a rest area covered in tatami floors. 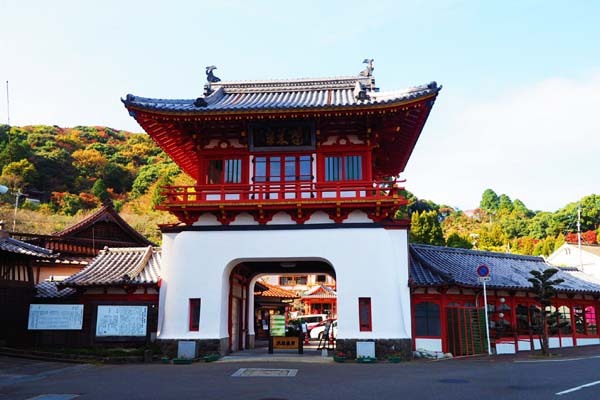 The unusual gate at the entrance to the hot spring is a sight not to be missed. This two-floor gate was designed in 1915 by Tatsuno Kingo, the famous architect who created Tokyo Station. During the construction of the gate, Tatsuno playfully included something special in this gate just for fun; he inscribed four of the twelve zodiac signs in the Chinese calendar into the gate. These, combined with the eight zodiac signs inscribed into Tokyo Station, makes up all twelve of the signs. We continued our journey to the quiet yet attractive Takeo Shrine. Passing through the bamboo forest behind the inner shrine, we saw one of the oldest trees in Japan. It was a moving experience. This majestic tree is about 3,000 years old, and it reminds you of a tree-house that appears in a famous Japanese animation. We then took a walk around the wonderful Mifuneyama Gardens situated around Takeo. This garden, poised against the backdrop of Mt. Mifuneyama stained in red in the setting sun, seemed as if it would last forever. It was an incredibly beautiful sight. Our experience staying in a Japanese ryokan (inn) was a wonderful one that included dinner and a hot spring bath. Amidst the relaxing atmosphere, local dishes from the area were presented to us in succession. It was a luxurious and delicious dinner. 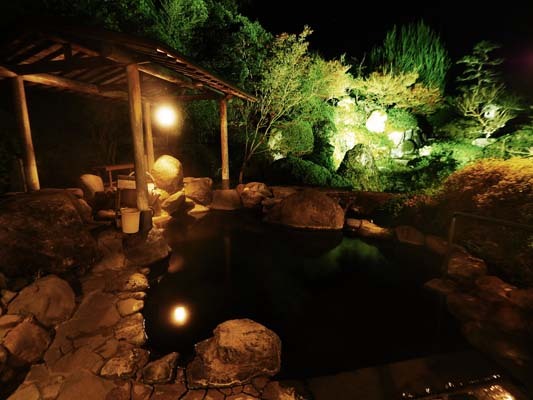 After dinner, we put on the yutaka (traditional bathing robes) placed in our bedrooms, and headed to the hot spring at one of the buildings of the inn. 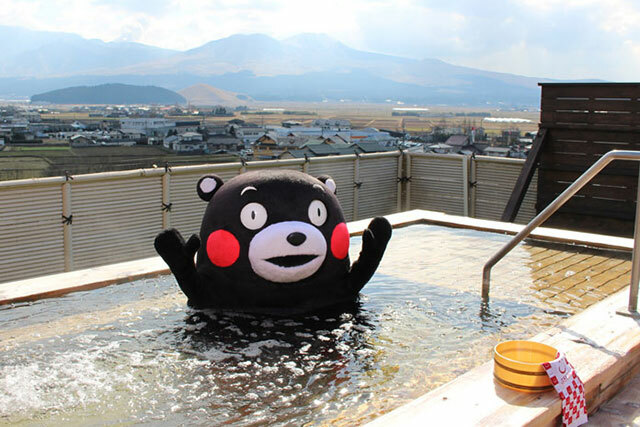 Taking a bath in a top-quality hot spring was truly enjoyable. In this inn, guests can use the indoor bath and the outdoor bath. It was an unforgettable experience for us. Upon returning to our room, we found to our surprise and great delight that our mattresses had been laid out, and tea prepared for us on the table. This is the symbol of Takeo Onsen. The impressive tower gate was designed by Kingo Tatsuno, the architect renowned for designing Tokyo Station (opened in 1914). The emblems representing four of the twelve zodiac signs are hidden in this gate. The other eight can be found at Tokyo Station. Have a go at finding them! 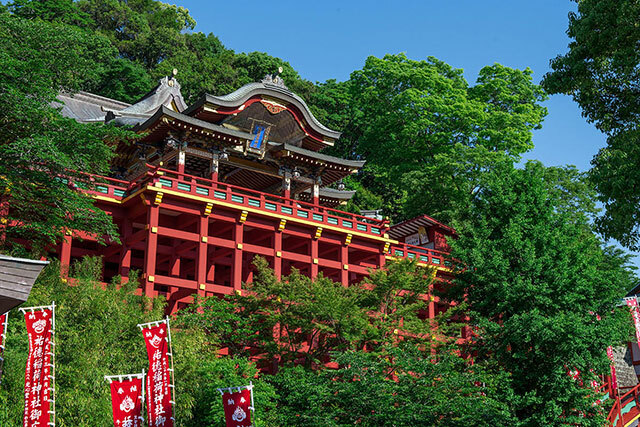 There are many interesting highlights to see at Takeo Onsen, such as the onsen museum, a large garden, and the beauty of Mifuneyama Rakuen with azaleas in May and red foliage in autumn. I recommend taking a short tea break at the teahouse in the garden. The balls of sweet rice cakes on skewers are really delicious. 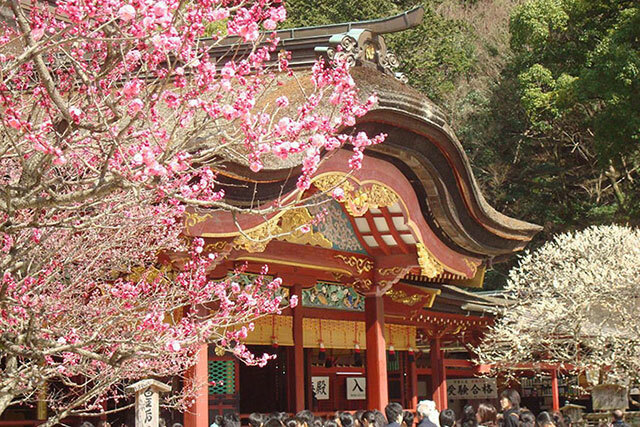 Takeo Shrine and the 3,000-year-old tree are also a must-see. 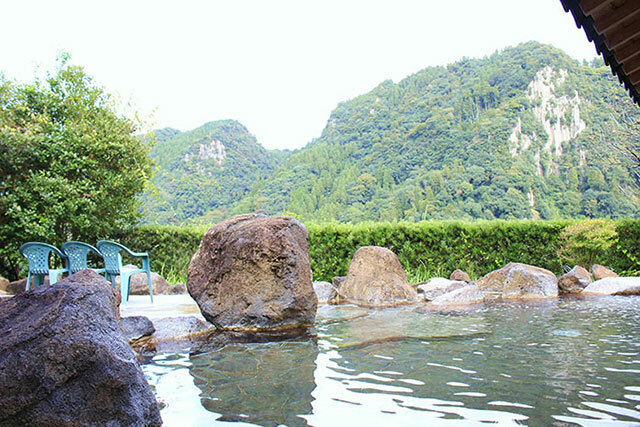 We stayed at a Japanese ryokan (inn), where one can fully savor the joys of a hot spring bath. I relaxed in the hot spring before enjoying a wonderful dinner. 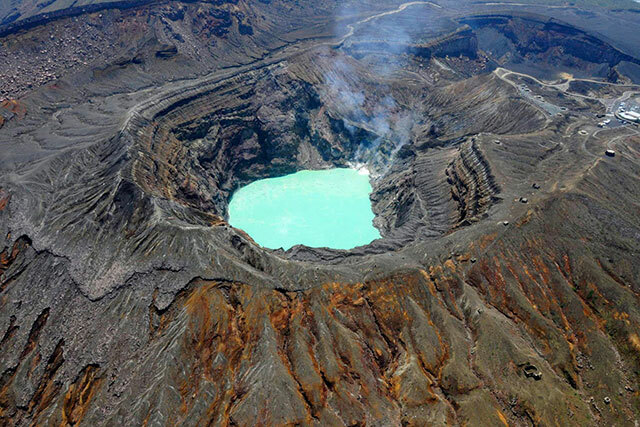 The hot spring water, which contains a rich variety of minerals, feels very gentle and it softens the skin. I particularly enjoyed the beautifully decorated open-air bath. 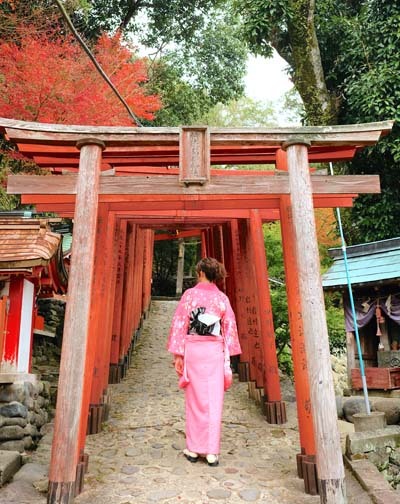 The next morning, I tried something that I had been looking forward to for a long time - putting on Japanese kimono and visiting the Yutoku Inari Shrine! I selected a kimono at a small shop located at the foot of Yutoku Inari Shrine, and the staff dressed me in it. It takes quite a long time to put on kimono, but the experience was special and incomparable. 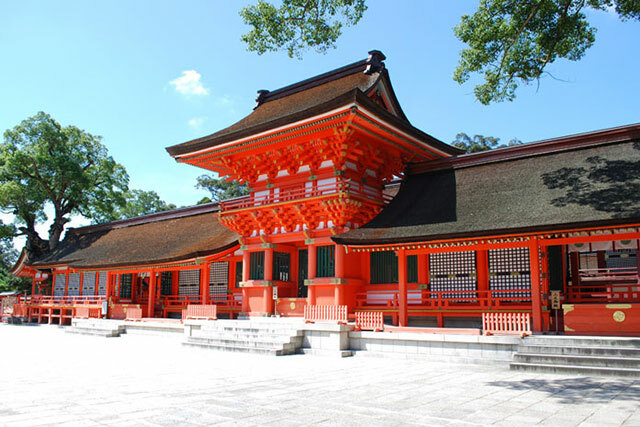 Once I was prepared, I headed to Yutoku Inari Shrine, which is one of the most famous shrines in Japan. Whilst walking around this wonderful place, I had the opportunity to take many great photographs. I enjoyed Saga Prefecture to the fullest, even till the last day. 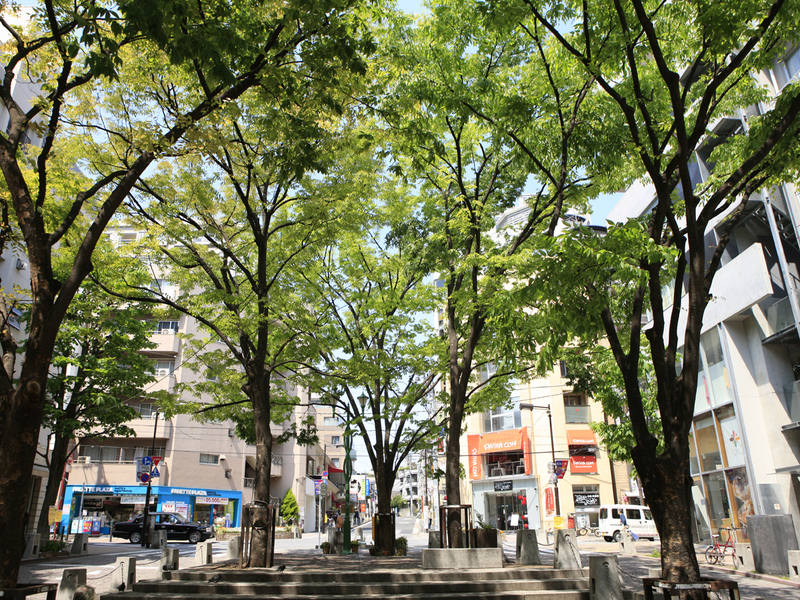 We took a walk in Yanagimachi, a town located in Saga City, and found the area very comfortable too. The sight of rows of shops displaying an array of impressive products made by Japanese artisans, only served to reaffirm the appeal of Japan's small towns for me. It was at this place that I felt so moved by the beauty of Saga Nishiki textile. 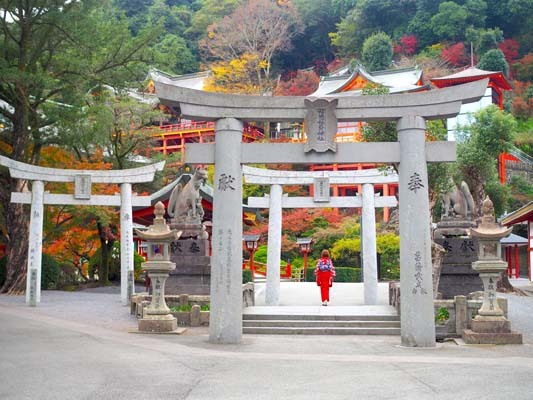 Isn't it a wonderful idea to put on kimono and visit a beautiful shrine? Kimono are very expensive and difficult to wear, but they are available for rental at SARUKU, complete with accessories such as socks and purse, and it costs you only 5,400 yen per day. 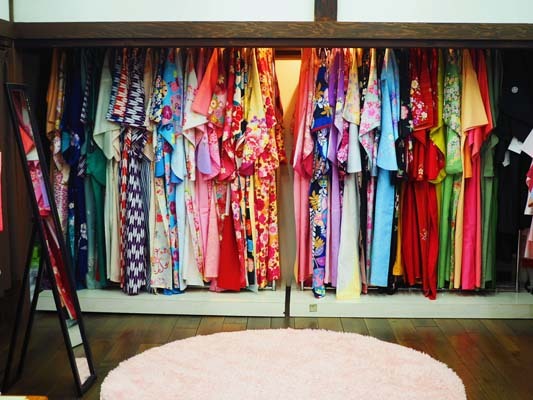 You can select your favorite kimono, and the owner will then dress you up from head to toe. Walking around in the kimono feels very elegant. I also had the opportunity to take many lovely pictures at the majestic Yutoku Inari Shrine. This is a chance not to be missed! I enjoyed the walk around Yanagimachi, the historic heart of Saga. There are many beautiful shops in the district. 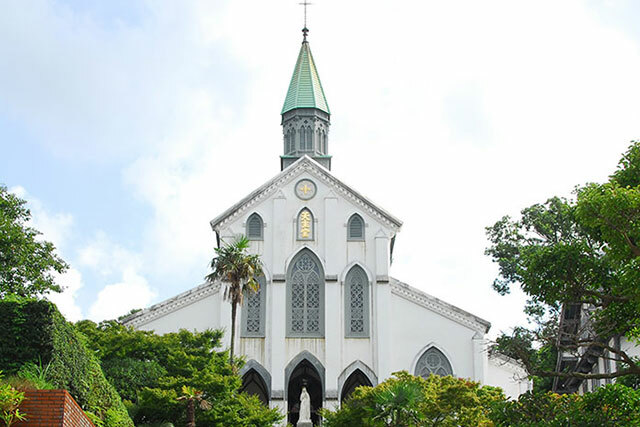 I recommend visiting the former residence of the Hisatomi family. Artisans also hold many workshops here, giving visitors the opportunity to meet them directly and observe their work up-close. 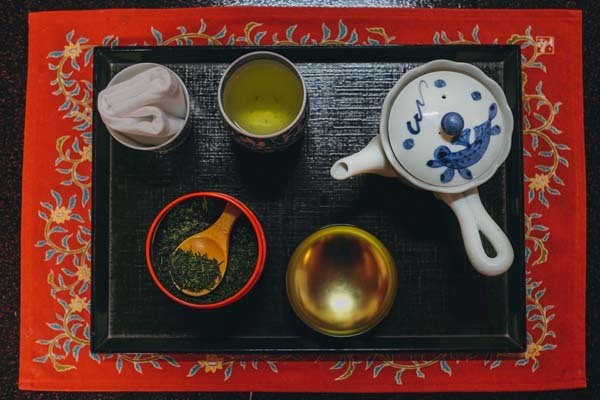 For a beautiful end to this trip, I attended a tea ceremony course, where I enjoyed sencha (green tea) manners accompanied by delicious Japanese sweets. The trip to Tokyo and Saga was filled with wonderful surprises and experiences. 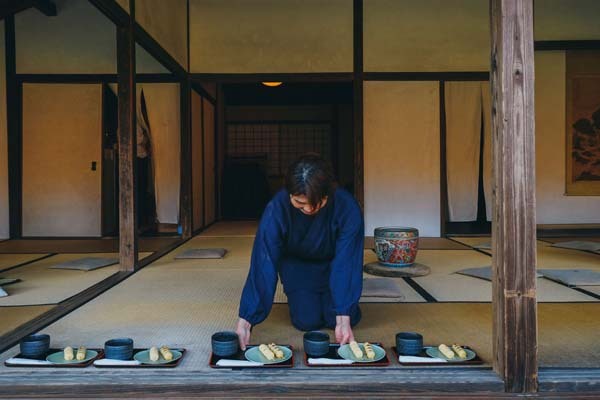 I highly recommend this itinerary for those who love Japanese culture, Japanese craft, and Japanese cuisine that is unparalleled in the world. For me, at least, there is one thing I am sure of - I will be back! 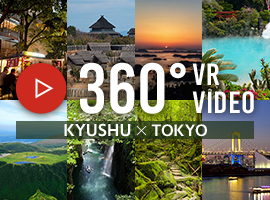 If you are taking a trip to Japan, I would definitely recommend spending a few days in Kyushu. If you love Japanese pottery like I do, then Saga Prefecture is the perfect place to visit. 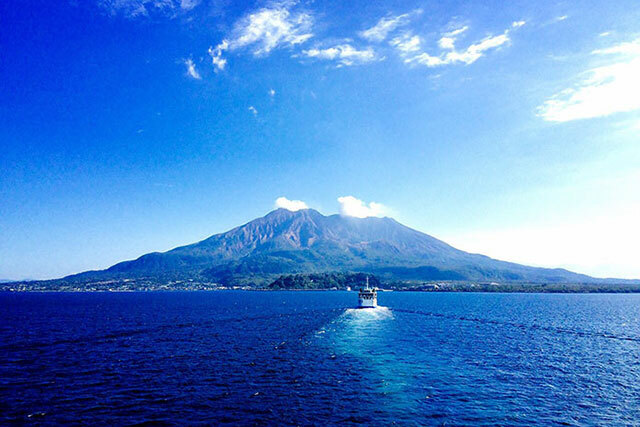 Surrounded by the sea and mountains, this region with its rich culture will not disappoint you. I also sampled much delicious cuisine. I will probably never forget the taste of fresh squid. Let's embark on a trip of discovery and surprise, of Japanese artisanal products. 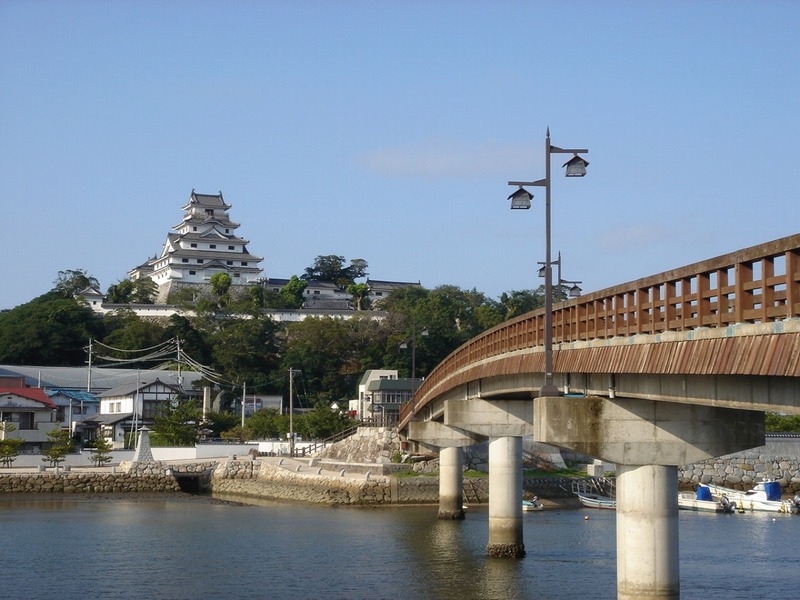 On this trip, we visited the dynamic city of Tokyo, and Saga Prefecture with its calm and gentle atmosphere. 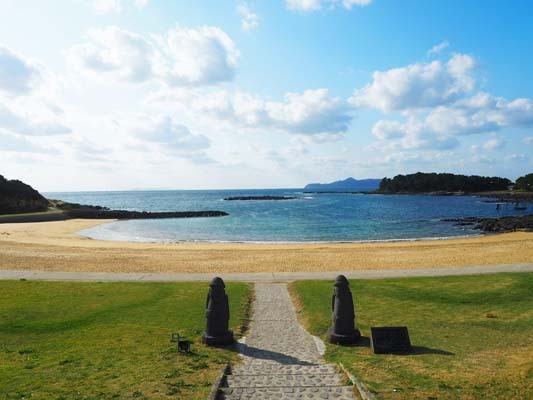 I spent three days in Saga Prefecture, Kyushu, on this trip. This region offers a wealth of rich culture such as artistic ceramics. 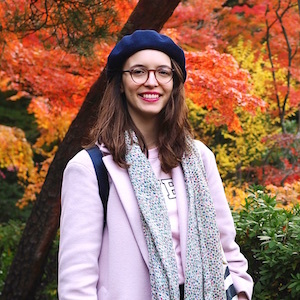 I took a trip to the most beautiful area I have ever been to in my life, observing the work of ceramics artisans and visiting a traditional Japanese home that has been designated as an Important Cultural Property.